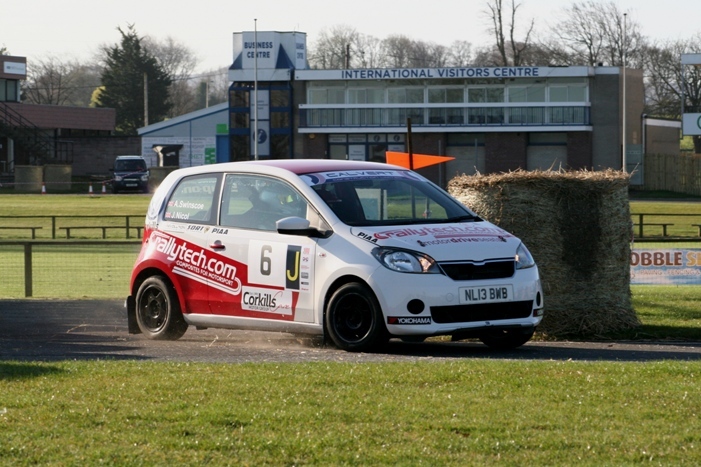 After the 'Seniors' yesterday, it was the turn of the stars of tomorrow who took to the stages today for the DCC Junior Stages Rally. 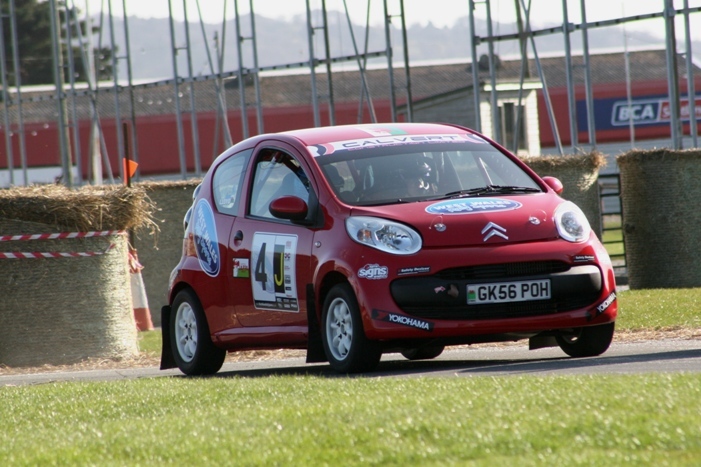 The 14-17 year old youngsters had 8 stages to contest, same as their elders, although today's stages were shorter. Ioan Lloyd scored a close fought victory by just 16 seconds from Fraser Anderson with Archie Swinscoe snatching 3rd place on SS6 from Billy Grew and hanging on to clinch it by 4 seconds. Ollie Hunter didn't get a chance to mix it as his Peugeot snapped a driveshaft on the first stage then broke the gearbox on 5th. The only downside is that the Ingliston hosted event is a 'non-spectator' affair due to on-site insurance restrictions. A great pity because they put on quite a show, especially Letisha Conn. 4 feet 10 inches of talent and lighter than Ian 'Bing' Crosbie's (co-driver) sandwich, she turned 14 just 2 weeks ago. 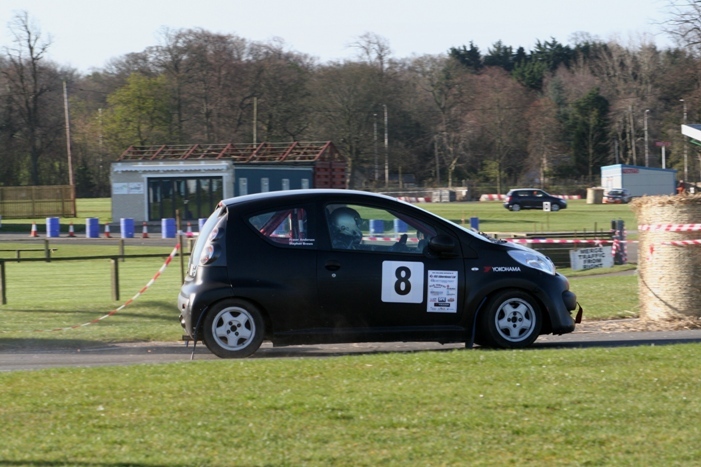 First time out on Scottish tarmac and her first run in a borrowed Peugeot 107 she just got quicker and quicker all day finishing in 8th place. They all did exceptionally well and the competition was fair but fierce. If there are any youngsters out there who fancy a shot at this, it's relatively cheap and there's plenty of help and advice along the way - all you have to do is pester your parents, in the nicest possible way of course!